I have to truly thank my mom for raising us as she did. Our rule was that we had to at least try a bite of whatever was for dinner that night, and if we didn’t like it, we didn’t have to eat it. The problem here was that her cooking fabulous, so very rarely did I try something I didn’t grow to love and beg for. From okra and tomatoes to asparagus and Brussels sprouts, I loved every bite. When trying to come up with my adventure this week, I realized that zucchini is in season right now, and I wanted to try some new recipes with it. Looking back, zucchini was definitely a veggie my mom highlighted. Whether it’s her zucchini and tomatoes, dill zucchini (a dish I often crave!) 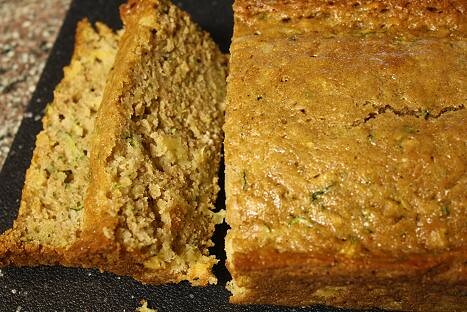 or a zucchini bread I made a lot growing up that was basically like eating chocolate cake (no question there as to why I loved that recipe! ), I was certainly a fan of this green vegetable. To begin, this recipe is fantastic! Just smelling it baking was enough to drive me crazy, so I knew I wouldn’t be disappointed when I could finally dig into the cooled bread. I wasn’t wrong. Full of sweetness, this bread hit the spot! 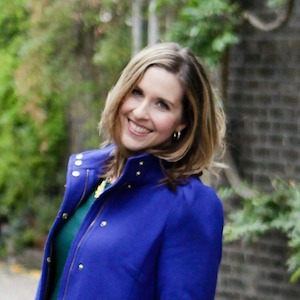 Thank you Cooking Light for another winner! Sure there is a fair amount of sugar in this recipe, but the pineapple helps sweeten it as well. Then when you consider that you’re making two loaves of bread from this recipe it all seems to even out. 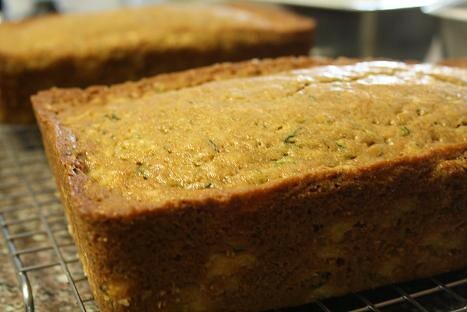 The zucchini adds great moisture and texture to the bread. I loved looking at the loaves and seeing the flecks of green from the zucchini just as a reminder of what I was eating. The recipe is a snap to make. I found the most time consuming task I did was grating the zucchini, which really wasn’t that bad at all. Everything comes together in a snap and then bakes for an hour. The bread turned out beautifully with great flavor and the perfect texture. It wasn’t at all dry and just melted in my mouth. This is a definite must-try dish while these lovely vegetables are in season! Go preheat your oven to 325, and click here for the recipe and step by step instructions. Trust me, it’s so good, you don’t want to wait! This is by far and away the easiest salad and probably dish that I’ve ever put together. However it’s also very flavorful and delicious. I wanted to try out this recipe because I had never made a salad solely featuring zucchini. 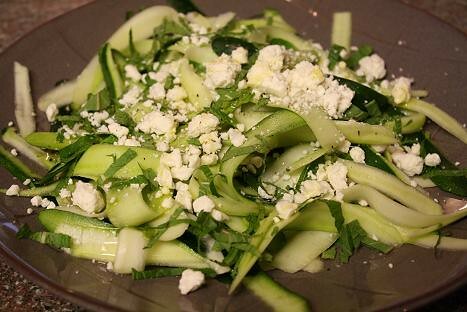 Plus the peeled zucchini strips and feta cheese with fresh mint really intrigued me. I just had to know how this salad tasted. I’m so glad I gave it a try. It had a fresh taste to it, the olive oil and feta added to the texture, and the finish of mint with each bite was really lovely. This salad truly lives by its title of being an easy summer salad. I served it with chicken a one of my favorite jasmine rice recipes, and everything worked well together. If you have some small zucchini on hand and are looking for something to make with it, give this salad a shot. I literally put it together from start to finish in under 5 minutes, and was totally satisfied with the outcome. Once again Tasty Kitchen comes through in providing me with unique and delicious dishes. It is certainly a site I love to go back to again and again. For the fastest salad you’ve ever made, click here to see the recipe and step by step instructions. Yum!